The simple silhouette and minimal detailing of this sofa table allow you to fully appreciate the rich, morning brew finish. 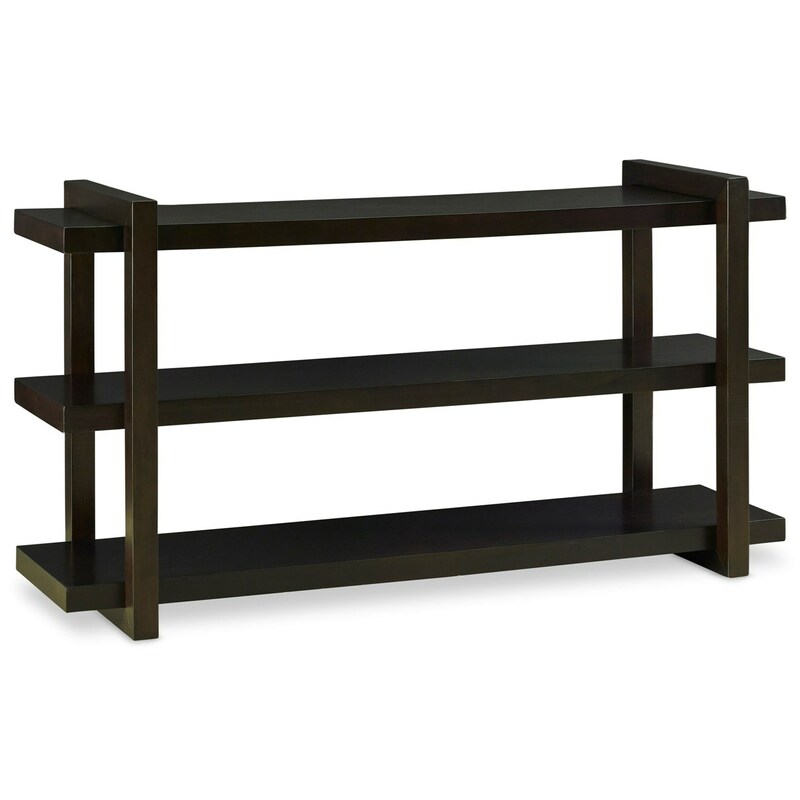 Three shelves offer plenty of display space for alongside a wall or behind your sofa. The Crosby Street Contemporary Sofa Table by Legends Furniture at EFO Furniture Outlet in the Dunmore, Scranton, Wilkes-Barre, NEPA, Bloomsburg, Pennsylvania area. Product availability may vary. Contact us for the most current availability on this product. Asymmetrical details and a rich, "morning brew" finish are showcased throughout this whole home collection. Contemporary with a hint of eclectic flair, these pieces will blend effortlessly into your home. The Crosby Street collection is a great option if you are looking for Contemporary furniture in the Dunmore, Scranton, Wilkes-Barre, NEPA, Bloomsburg, Pennsylvania area. Browse other items in the Crosby Street collection from EFO Furniture Outlet in the Dunmore, Scranton, Wilkes-Barre, NEPA, Bloomsburg, Pennsylvania area.